VIMY RIDGE, France -- The iconic monument at Vimy Ridge served Saturday as a reminder of Canadians' wartime sacrifice, as Prime Minister Justin Trudeau made another visit to the memorial one day before the world marks 100 years since the end of the First World War. 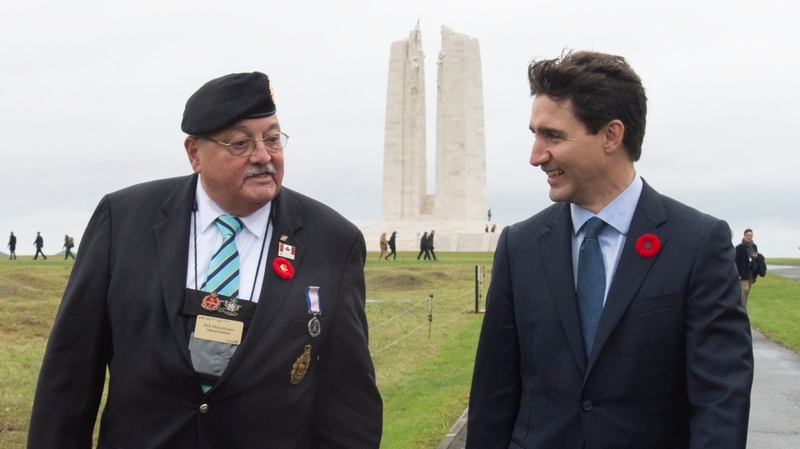 Running his hands along the carved names of Canada's war dead and walking among the graves -- some with names, others simply marked as "a soldier of the great war" -- Trudeau and his veterans affairs minister shook hands with veterans and thanked them for their service. The monument has become the symbol of Canada's experience during the "War to End All Wars," during which approximately 650,000 Canadians and Newfoundlanders served -- a number considered remarkable given the population of the country was roughly eight million. On Sunday, more than 60 world leaders are scheduled to gather in Paris to mark the 100th anniversary of the end of the First World War, making Trudeau's stop at Vimy politically symbolic. Many of them gathered Saturday night in Paris, walking a red carpet and stopping for photographers before having dinner inside the Musee d'Orsay. "Going to Vimy and the Armistice Day celebration...provides the opportunity for the prime minister to underscore why it was that Canadians have sacrificed in the past and the importance of maintaining the rules-based international order," Paris said. Some 66,000 Canadian soldiers died during the First World War, between 1914 and 1918, and a further 172,000 were wounded. 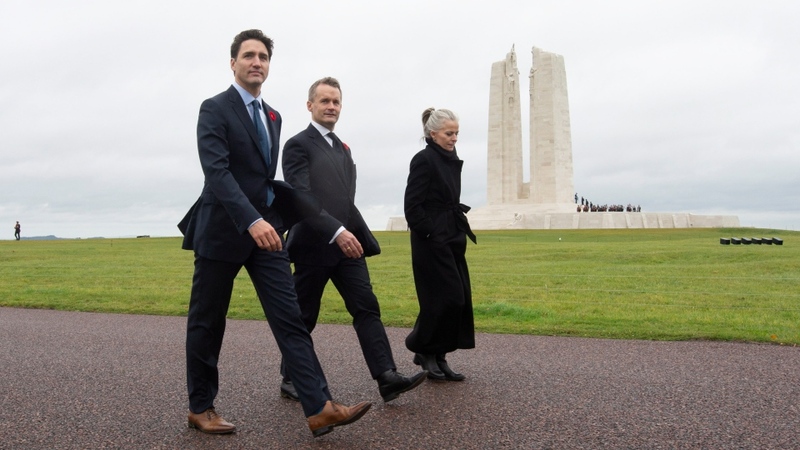 Those buried at Vimy and elsewhere believed defending Canadian values "were worth that sacrifice," said Veterans Affairs Minister Seamus O'Regan. "We must remember the lesson of these conflicts: that freedom is not free. That it is not easy. Indeed it is hard fought," O'Regan said. "But to remember those lessons is to remember those who fought these battles and who fight them still." A lesson world leaders have learned from the First World War is how a regional dispute can spiral into a broader, global conflict, said Matthew Barrett, an expert on Canadian military history from Queen's University in Kingston, Ont. 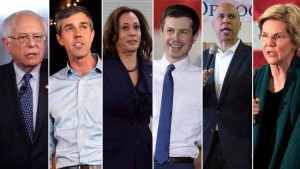 That concern about becoming entangled in a conflict feeds into U.S. President Donald Trump's unease with military alliances such as NATO -- which in turn keeps Trudeau talking about maintaining alliances. Trump was noticeably not among the leaders to walk the red carpet for the evening's dinner gala in Paris. Earlier in the day, he received criticism for cancelling a visit to the Aisne-Marne American Cemetery outside the French capital due to inclement weather. Many of the 2,289 soldiers buried at the cemetery died in 1918, the last year of the war. "Canadians remember who you are, what you stand for and the history you defined, a history for which you bled and fought, a history built on your sacrifice. Thank you," Trudeau told a group of veterans during remarks at one of the cemeteries where Canadians are buried. Clouds hung over the site -- rain holding off until the service at the monument had come to a close -- and a cold, wet wind swept through the area, ever so slightly rustling the leaves of a sapling, grown in Canada and descended from oaks that once grew here. Trudeau and O'Regan walked the newly opened memorial park.